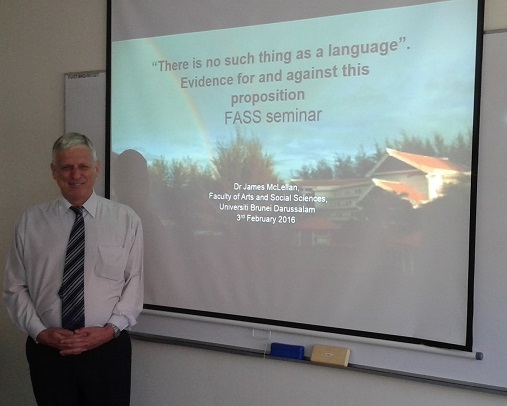 On 3 February 2016, James McLellan gave a seminar entitled "There is no such thing as a language": Evidence for and against this proposition. 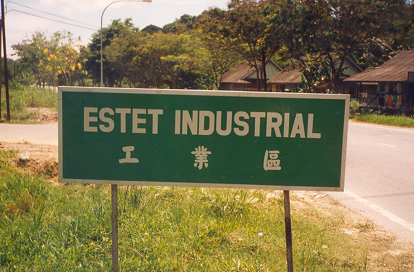 As an illustration of the difficulties in identifying a language, what is the language of the sign on the left (taken in Limbang)? Clearly, the second line is Chinese. But what about the top line? The words are both English words, but the spelling of the first word is Malay; and the word order (with the adjective following the noun it modifies) is also Malay. So what language is it? The sign on the right shows similar problems in identifying the language. 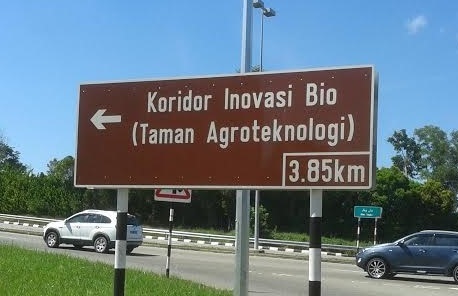 One word (taman = 'park') is clearly Malay. But what about the rest? So what is the language of the sign? The message on the left shows multiple switching between English and Malay. Is it possible to identify the matrix language (the main language)? 29 words are in English, while 16 are in Malay. Does this mean that English is the matrix language? One might note also that all of the verbs except one (membaca, 'read') are in English. Does this make English the matrix language? The message on the right contains three different languages: English (in orange), Malay (in pink), Bidayuh (in red). If code-switching is the norm in this region, is it possible to identify languages? Maybe individual languages don't really exist. On the other hand, if we don't identify named languages, how can we talk about code-switching?